The 2019 USL Championship regular season schedule was released and will see each of the league’s 36 teams play home-and-home series within its own conference. 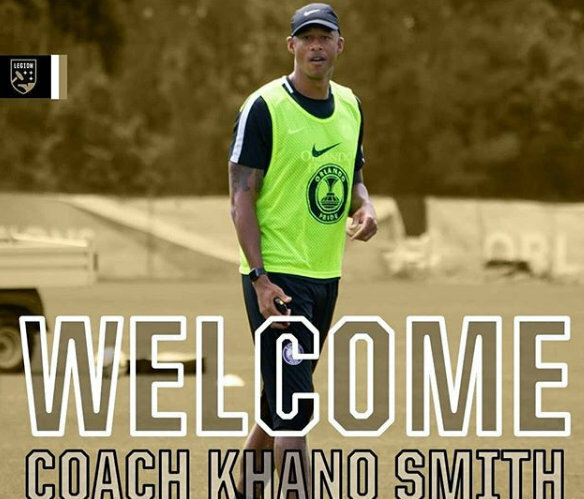 Khano Smith’s club Birmingham Legion FC opens the campaign in Birmingham at BBVA Compass Field on Saturday, March 9th against Bethlehem Steel FC, and closes the regular season at home Sunday, October 20th versus Pittsburgh Riverhounds SC. Saturday night contests dominate Legion FC’s 2019 regular-season schedule, especially with regards to home games. Of the 17 matches to be played at BBVA Compass Field, 13 of them will take place on Saturdays, two on Fridays both in September, one on Wednesday May 22nd vs. Nashville SC and one on a Sunday. The road schedule consists of 10 Saturday matches, one on a Tuesday, four on Wednesdays, one on a Friday and one on a Sunday. Legion FC’s first road game of the season will serve as a great early season test of the side, as the club travels to face defending USL Cup Champions, Louisville City FC on Saturday, March 30th. Louisville makes their way to the Magic City on Saturday, May 11th. Additional regional rivalries for Legion FC, begin Saturday, May 4th when the club heads up I-22 to face Memphis 901 FC. They return the favor Saturday, August 17th. In the team’s last season in USL Championship before moving up to Major League Soccer, Nashville SC travels to Birmingham Wednesday, May 22nd, and hosts Legion FC on Tuesday, September 17th. Atlanta United 2 will play in Birmingham Saturday, July 20th. Legion FC travels to Atlanta Wednesday, September 4th.